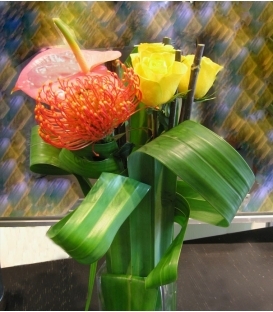 B10 Exotic Exotic bouquet designed with pink Anthurium flowers from South America, yellow Roses from the best Equator products and an orange pincushion protea from Hawaii, enhanced with a design of three pendanus leaves from South America and exotic stems. 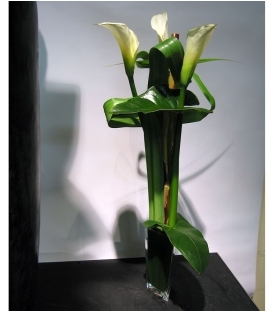 B11 Callas LiliesElegant bouquet of white callas lilies from South America, designed with exotic foliages such as anthurium leaves and tall pendanus leaves. 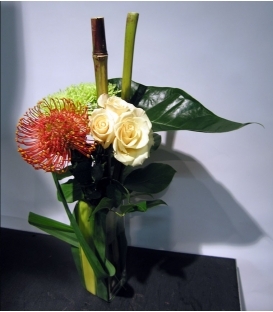 Exotic bouquet made of cream roses from the most gorgeous Equator greenhouses, green spider mums and orange proteas from South Africa. 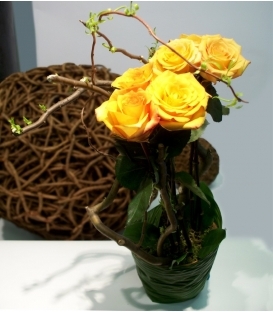 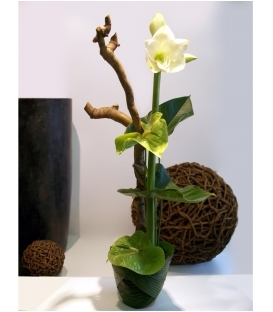 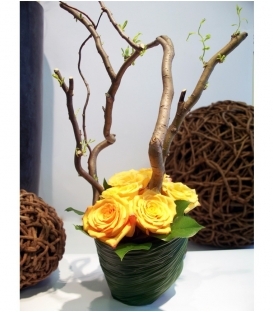 The bouquet is designed with pendanus foliage, anthurium leaves and exotic stems. 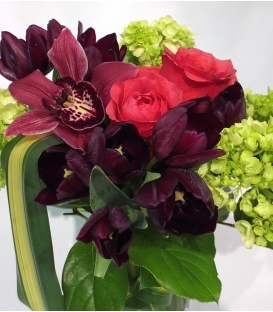 B14 Green callasStylish bouquet with green callas from the most gorgeous Equator greenhouses enhanced with an orange anthurium flower from South America. 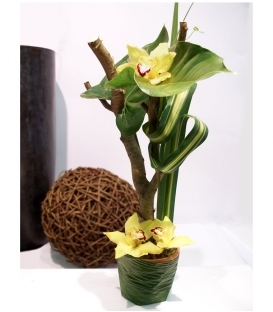 This arrangement is designed with an exotic anthurium leaf and green salal foliage.